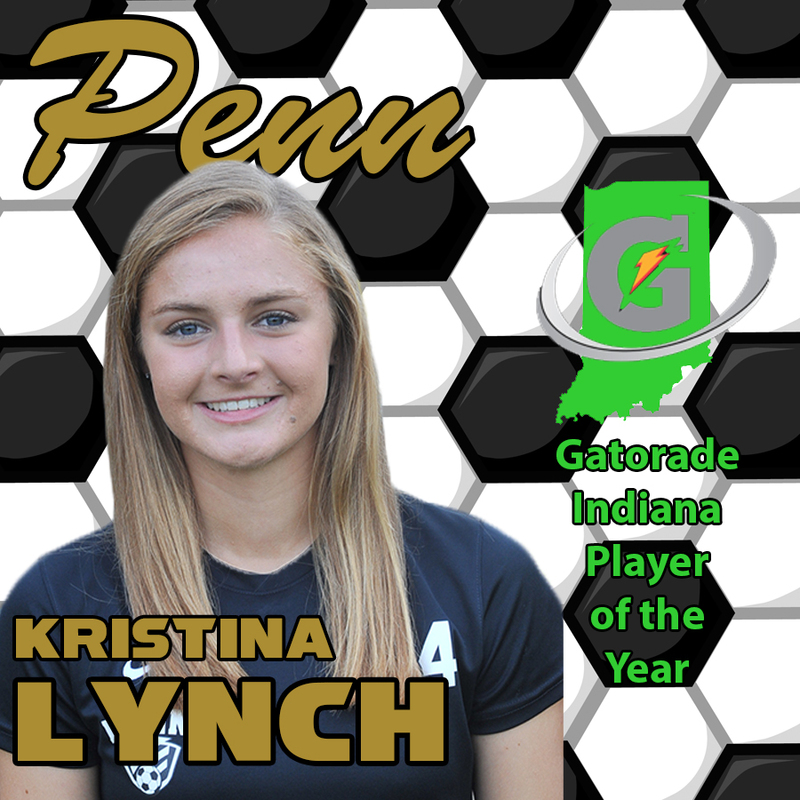 Kristina Lynch, who led Penn to a State Championship in Girls Soccer, has been named the Gatorade Indiana Player of the Year in Girls Soccer. Lynch is the first Penn student-athlete to be named the Gatorade Girls Soccer Player of the Year in Indiana. Lynch, a midfielder who is a Florida State University recruit, led the Kingsmen to a 22-0-1 record and the Class 2-A state championship last season as a Junior. She scored 38 goals and passed for 26 assists, tallying one of each in Penn’s 2-0 win over Brebeuf Jesuit High in the state final. Lynch recorded 12 goals and 13 assists in Penn’s seven-game postseason run to the state title. A two-time Indiana Soccer Coaches Association First Team All-State selection, she concluded her junior year with school records of 86 goals and 49 assists in her prep soccer career. The Gatorade award recognizes not only outstanding athletic excellence, but also high standards of academic achievement and exemplary character demonstrated on and off the field, and distinguishes Lynch as Indiana’s best high school girls soccer player. Lynch is now a finalist for the prestigious Gatorade National Girls Soccer Player of the Year award, which will be announced in June. “For Kristina, or any of our players, to be recognized for an award like this is incredibly exciting for our program and a career highlight for me as a coach,” Hart said. “This is a kid who starting playing locally as a young girl, played in our local travel clubs, practiced for endless hours on her own in her yard and along the way developed a passion for the game. 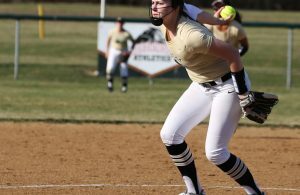 As a Gatorade Player of the Year, Kristina will be able to select a national or local youth sports organization to receive a grant as part of the Gatorade Play It Forward program. 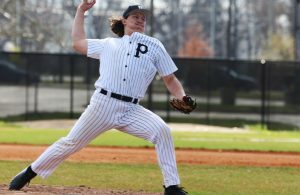 Every Gatorade Player of the Year state winner receives a $1,000 grant to donate and will have the opportunity to enter for an additional $10,000 spotlight grant by writing a brief essay explaining why their selected organization deserves additional support. 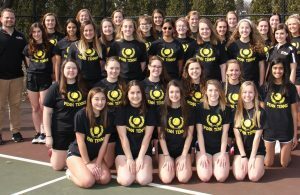 There are 12 spotlight grants – one for each sport – and those will be announced throughout the year.